Forty years after the death of Elvis Presley, more than 5,000 Elvis-related products were being sold at retail and more than 600,000 tickets were being sold each year to tour Graceland Mansion, Elvis’s best-known home. Maybe no one else will ever achieve the postmortem brand success of Elvis Presley, who remains larger than life even after death. But Elvis does not roam alone. Delebs—dead celebrities—are such an important marketing aid that Forbes regularly publishes a list of the top earners. Researchers at Howard University, after pointing out how the total annual licensing and royalty revenues for Delebs is about $2.25 billion, explored why we hold such dear love for these departed whose marketing prowess refuses to die. One driver is contagious magic—the belief, often subconscious, that an item associated with a specific person will transfer some of the qualities of that person to anyone who grasps the object. But the key driver is not contagious magic. It is nostalgia. And then maximum effectiveness for selling requires the power of imagination. We want to pretend the celebrity is still with us. Technologies like virtual reality, digital morphing, and text-to-speech reduce dependence on live impersonators. But Deleb marketing researchers have also seen how potential customers get creeped out if the imitation is not just right. That is, when we can’t tell whether a representation of a human is real or not, we experience revulsion. If it looks exactly like the dead celebrity, we’re attracted to it. If it looks similar, but we can easily tell it’s not real, we’re amused. However, when the resemblance is very close, but we’re not sure if it’s real, a primeval fear flares up. That dip in the positive emotion is why scientists call it the uncanny valley. Other research touches on the appeal of Delebs coming from a fascination with death itself. Consider all the time consumers have been spending thinking about zombies and vampires. If your tastes are not tuned quite enough in that direction or your business pockets deep enough to license the rights to have a Deleb endorse your store, you can still join the march by carrying brands that use Delebs in marketing. There’s reason to think such endorsements are a little more effective at times of the year associated with the ghoulish (Halloween), rebirth (New Year’s Day, Easter), and death itself (Memorial Day, Day of the Dead). People purchase merchandise for what it means as well as what it is. The meaning of some items is so significant and so lasting that they become what consumer psychologists call “sacred goods,” with owners valuing them in ways reminiscent of the valuing of religious relics. Family heirlooms are often considered sacred goods. If you obtain those items and then offer them to shoppers at an estate sale or pawn shop, let’s say, the heirloom value probably evaporates. Researchers at Université Lille in France and Bilkent University in Turkey recommend you rejuvenate the heirloom value so you can net more for the items. The methods for accomplishing this depend on you presenting the items in ways that relate the potential purchaser’s past, present, and future. Asking the person to talk about their own history as they hold the items can help. While doing this, your comments on the craftsmanship shown in the items add effectiveness. For some consumers and with appropriate items, an expert appraisal of an item’s worth instills heirloom value. Heighten the appeal with a backstory. Products sell better when each item comes with a tale to give it distinction. Retailers of antiques, art objects, and handmade crafts find that easier to do than those who sell toasters or toilet paper. Yet, if the toaster or toilet paper was previously considered an heirloom, an intriguing backstory about why could bring this value back to life. How you’ve stored the items makes a difference. If a pawn shop or self-storage business looks run down and lacking good security, shoppers might question how well you’ve treasured what you’re describing to them as treasures. Another perspective on increasing profits from the sale of heirloom items is to persuade sellers to reduce asking prices. Here you run into the endowment effect: People set a higher value on objects they own than on equivalent objects they do not. Findings from Boston University and University of Pittsburgh suggest you mobilize empathy to ease disagreements from the endowment effect. When you empathize with the consumer wanting to sell you an item, acknowledge the special value the item has to them, and promise you’ll find a good home for their sacred possession, you’ve set the groundwork for fruitful negotiations. Some researchers at University of Kansas, University of Georgia, and University of South Carolina propose you start by telling the owner what a wonderful family they have. An opportunity to recall the importance of social responsibility when selling to young consumers is provided by the marketing of cosmetics to preteen girls. Researchers at New Zealand’s University of Otago, noting this marketing, sought to understand the buyer motivation. Female study participants ages 6 to 12 years drew two pictures and then described each picture, one picture of a preteen girl who owned makeup and the other picture and description of a child who did not. The overall conclusion was that preteen cosmetics use is perceived by children as increasing popularity and snobbishness. The study participants believed preteen girls who decide to use cosmetics are happy with that decision. But what is the effect on the body image of children who see the decorated preteen? Among the youngest observers, there’s probably no harm. For instance, researchers at Ghent University found that children ages 6 to 7 years placed extra trust in ads featuring preteens the children considered to be attractive, but seeing these preteens had no effect on the children’s perceived self-worth or ratings of their own attractiveness. However, adult females are sensitive to comparative attractiveness. For example, an Arizona State University, University of British Columbia, and University of Alberta study reported that when a woman who is unsure about her appearance tries on a dress and then sees a pretty saleswoman wearing the same dress, the shopper loses interest in buying it. A Stockholm School of Economics study discovered that female shoppers give higher ratings to fashion items on models whose heads aren’t shown at all. Preteens are between the little kids and the adults, so promoting the sale of cosmetics in your retail store could foster social disadvantage for the preteens who choose—or whose caretakers choose—not to partake. Preteens are more likely than teens to look to adults as role models. This is true even though the preteen may prefer to associate with age peers than with the immediate family. This means that preteens are still listening carefully to the advice of adult salespeople, even if they argue with the advice. Preteens usually have a strong sense of right and wrong. They’ll consider as product benefits that the makeup wasn’t tested on animals or produced with child labor. Show your shoppers a gift box being slowly opened, and their evaluations of what’s inside the box will be more positive than if you just showed them the item. This pleasure-from-watching-a-striptease is so compelling that researchers from Chinese University of Hong Kong saw it operate even if the box is absolutely empty. In this case, the observers of the unveiling liked the empty box itself more, on average, than an equivalent set of consumers who were just shown the box. Researchers at University of Miami and University of Pennsylvania saw a parallel effect when it came to word-of-mouth—influential information told to a consumer who then shares it with others. We might think of WOM as occurring only among family and friends. But it also could include a trusted salesperson telling a shopper about the salesperson’s experiences. The researchers saw that customers are substantially more likely to pass information on to others when they have found at least some of that information on their own. In addition to the thrill of discovery, a major reason for this is that we associate discovered information with our self-image. We’re less likely to criticize the information as unfounded or uninteresting. If the information is in written form, we’re less likely to be put off by spelling and grammatical errors when we believe we came across it through our own initiative. These differences between self-discovered and other-presented effects on WOM are greatest with consumers who consider themselves to be experts in the product category. This is probably because the perception of expertise boosts the centrality of one’s self-image. The advice for retailers is to build your shoppers’ expertise and encourage them to uncover for themselves positive news about your store and the items you carry. 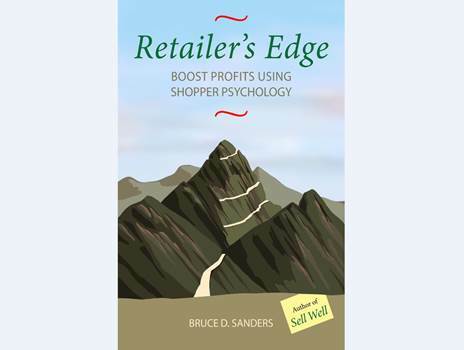 Similarly, when a set of purchase alternatives would all satisfy the shopper’s basic specifications, the shopper prefers those alternatives they discover for themselves over those initially presented by the salesperson. Researchers at Miami University, University of Northern British Columbia, and University of Alberta gave consumers hints as to suitable items, but kept those items out of sight until specifically asked by the consumer to see them or try them out. The tease ended up making those items favored over suitable items initially presented in full view to the consumer. 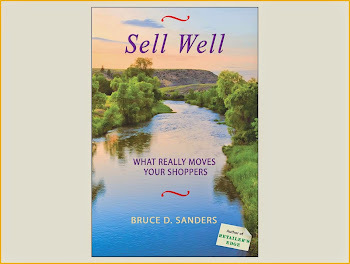 When you realize an item can meet a shopper’s objectives, facilitate the shopper discovering that for themselves. A perennial bugaboo for consumer behavior researchers is that people act differently in the laboratory than in the marketplace. Some of it has to do with the nature of the study participants. Most laboratory experiments are conducted with college students, but store customers and potential donors range more widely in age. And in the lab, the participants are often asked to pretend they’re spending their money or contributing to a charity, not actually doing it. Researchers at New York University and University of California-Berkeley decided to face down the bugaboo in their exploration of a consumer behavior phenomenon considered to be as stable as an anchor—the anchor effect: To decide if a price is high or low, shoppers set in their mind an anchor for what they consider to be a proper price. To have the customer purchase a higher-priced item, move the anchor point higher, it’s said. But the researchers found how the anchor effect can, in reality, be as moveable as a chariot. In four laboratory experiments where participants were asked to spend hypothetical money, the anchor effect worked robustly across price points. Yet in a total of sixteen experiments where the participants were asked to spend their own money for real, the anchor effect operated well only at what people considered to be low price points. In addition, the researchers verified that the anchor effect is strongest when consumers aren’t clear about how much to pay or donate and are looking for cues. So keep the anchors relatively low. Still, do provide them. In a pricing study conducted by researchers at University of California-San Diego, University of California-Berkeley, University of Amsterdam, and Friedrich Schiller University, people who were photographed riding a rollercoaster were invited to purchase the photo. All the people were told the regular price was $15. Then the prospects got one of three offers. Some were offered the photo at the regular price of $15. A second group was offered the photo for $5. A third group was invited to set their own price. People offered the $5 price were most likely to purchase the photo. We do love a bargain. Surprisingly, the group invited to set their own price were the least likely to buy. Why? They feared appearing stingy, so without the anchor of $5 as okay to pay, the “quote your own” group often chose not to buy at all. Encouraging criticism of your store may seem like a strange way to attract customers. But a substantial stream of consumer behavior research finds that a sprinkling of negative reviews adds believability to the positives. Shoppers say that when there is no mention in the reviews of areas for improvement, the shoppers’ trust in the reviews fades. Further, when the shopping decision is an important one, reviews that include both strong positives and a few negatives will develop curiosity in prospective shoppers. The curiosity can lead to the shoppers wanting to check things out for themselves at your store or website. When positives far outweigh negatives, you’ve won a customer. Studies at Israel Institute of Technology, Open University of Israel, and Tel Aviv University discovered that a few one-star reviews also help when the shopping decision is more routine. However, the reason it works is different than with the significant decisions. Here the reason has to do with the fact that most consumers like getting less important purchase decisions completed promptly, but feel a need to do at least some evaluation. The researchers found that reading a few grouchy reviews among an abundance of highly positive ones leads shoppers to conclude they’ve done their homework. In the studies, the comment accompanying the one-star rating was largely irrelevant to important purchase criteria. It was the rating itself rather than the relevance of the criticism which gave the shopper a sense of adequate vigilance. The position of the grouch in the sequence of reviewers also counts. Researchers at Stanford University and Tel Aviv University considered the case of restaurant reviews in which the positives are highly favorable about the food and ambience, while the negative is about a less central criterion, such as the ease of parking. The finding is that when consumers encounter that type of negative review after a few of the positive reviews, reading the negative makes the positives especially influential. Should you encourage grouches to identify themselves? Yes. When consumers reading a negative review are unsure about the identity of a negative reviewer, they often assume the reviewer is like them, adding credibility to the review. When a negative reviewer is clearly identified and the consumers have already developed positive feelings about the store, the consumers often emphasize to themselves the ways in which they are different from the reviewer so the consumers can discount the negative review. The availability of smoking cessation programs can lead to people smoking more, since the people get the impression they can stop anytime they choose to. And once a consumer has gone through a debt consolidation program, that consumer may become more likely to spend irresponsibly, since the consumer figures he can go through a debt consolidation program again. Researchers at University of Pennsylvania, University of Florida, and University of North Carolina-Chapel Hill point out how backup plans—in this case, what is called remedy marketing—can have unintended consequences. A set of studies at University of Wisconsin-Madison and University of Pennsylvania expanded the scope of this finding, applying it to work life. People were asked to complete tasks with a promise of rewards for successful achievement. Some of the participants were also encouraged to develop backup plans for how they might obtain equivalent payoffs if failing to get them from the study conditions. Those participants with backup plans did less well on the tasks and showed lower drive to get the reward. Back away from your backup plans long enough to assess for unintended consequences, such as impaired motivation. It could be that taking the energy to formulate the plan eats up resources you’d otherwise devote to getting the job done right off. A number of consumer studies have shown this kind of effect with results equally surprising to those critical of contingency thinking. Duke University, UCLA, and University of Florida researchers found that people who carry around the store shopping lists they created in advance—the consumer trying to remember what they need and what the store carries—end up more likely to make purchases they will later regret than do people who don’t make a shopping list in advance. The explanation is that creating a shopping list from memory uses mental energy. Every shopper has a limited pool of mental energy, and when a great deal of it is consumed in making the list, there is less mental energy remaining to resist the foolish, unhealthy, even sinful items. But the Pennsylvania / Florida / North Carolina team conclude there’s more to it when it comes to the dangers of backup plans. The problems arise because of overdependence on the plans. The researchers recommend backing away in another sense as well: Once you’ve developed the plan, distance yourself from it unless and until you need to implement it. It’s hard to imagine any marketing expert failing to know what happened April 23, 1985. Oh, they might not recognize the specific date, but they’re bound to recall the unveiling of New Coke® to a world which promptly rejected the reformulation of an American classic. The error made by The Coca-Cola Company was overlooking Coke’s nostalgia appeal. You won’t want to make such an error when introducing changes in your retail business. Researchers at Ithaca College and Kent State University documented how nostalgia is generally a sales draw, but when the object of the nostalgia changes significantly and suddenly, your most ardent fans will be repelled. Further, those consumers motivated to shop with you because of nostalgia are substantially more likely than the less nostalgic to consider even moderate changes as significant. Lead customers through changes gradually, advise researchers at University of Minnesota, Emory University, and George Mason University. Determine where you want to end up, and if this ending point is quite different from where you are now, introduce at least one intermediate step. If you currently sell paint and you want to end up adding draperies, consider introducing wallpaper first. If you plan to phase out your entire stock of draperies, reduce the product assortment for a while before eliminating the product category completely. Because of what occurred on April 23, 1985 and continuing for 79 days until the original formula was reintroduced, the term “New Coke” has come to characterize a huge marketing failure. Using the term that way distorts the true story: Starting in 1970, the market share for Coca-Cola was decreasing as the market share for Pepsi increased. By 1985, The Coca-Cola Company’s investors and directors were pushing for change. The reformulation was to one preferred overall to the old formula in taste tests administered to a total of about 200,000 consumers. This wasn’t a move based on whim. And when the error was remedied 79 days later, with the original formula being reintroduced, New Coke stayed on the market as an additional source of revenue in the company’s portfolio for a time, with the market share of that portfolio growing mightily in the months following the controversy because of all the publicity. Even if do you reach too far making changes to your retail business, leverage the nostalgia appeal by acknowledging your fans. Rein in the change so that the transformation is gradual. Karma is a belief system centered on long-term consequences. As we look forward in our lives, the decisions we make now affect what happens to us in the future. Good actions will produce good results at some point. Turning to look behind, we’ll see that what is going on with us now is the result of our past. The thoughts we’ve had, the words we’ve said, the actions we’ve taken, the deeds we’ve instructed others to take on our account or while under our control. It would seem that, among those holding these beliefs, an appeal to karmic rewards would resonate. Researchers at University of Louisville and University of California-Riverside find that it does, yet with a complication: People with strong beliefs in karma contribute money more generously to charities when the appeal is the opportunity to help others. But the same sorts of people are, in fact, less likely to contribute time to charitable activities when there is a sales pitch about the karma. The reason is that contributions of time are perceived as opportunities for social companionship and forging business connections. These strike many believers in karma as tawdry cheating, gains for oneself masquerading as selfless sacrifice. Time and money are also perceived differently in sales transactions, including among those who do not believe in karma. One summer, University of South Carolina researchers offered theatre patrons a movie pass. For about half of the patrons, getting the movie pass required completing a survey, which took about seven minutes. So that the researchers could compare time with money, a matching set of patrons were offered the movie pass for $3—no survey completion required. And about half the tickets in each group were marked for use later that summer. The others were marked for use the following fall. For those who spent the $3, the percentage of fall ticket usage was the same as that for the summer tickets. But among the patrons who earned their ticket by spending seven minutes of time, the season of usage made a big difference. People were significantly more likely to end up using the ticket if marked for the summer than if marked for the fall. Yet time isn’t so perishable for those believing in karma. They’re more patient and persistent when resolving complaints about retailers. One sign to them they’ve been good is that they finally receive good customer service.